Inside Nanny Lacey’s flat are her collection of miniatures. These homemade creations capture the adventures she’s shared with her daughter Bella over the years. Like 3D photographs, they’re treasured moments of time and each one tells a different story. As Nanny Lacey has gotten older she’s started to forget things. Change is on the horizon and she’ll soon move into a care home. Before she goes, there is one final miniature to share, and story to be told. In this magical, interactive experience for children aged 5-11 years and their families, Bella invites you to join Nanny Lacey in her flat in Tottenham and explore the tiny worlds she has created. Conceived by Punchdrunk, Small Wonders was written by Nessah Muthy and inspired by the local stories and dreams of the Tottenham UpLIFTers. 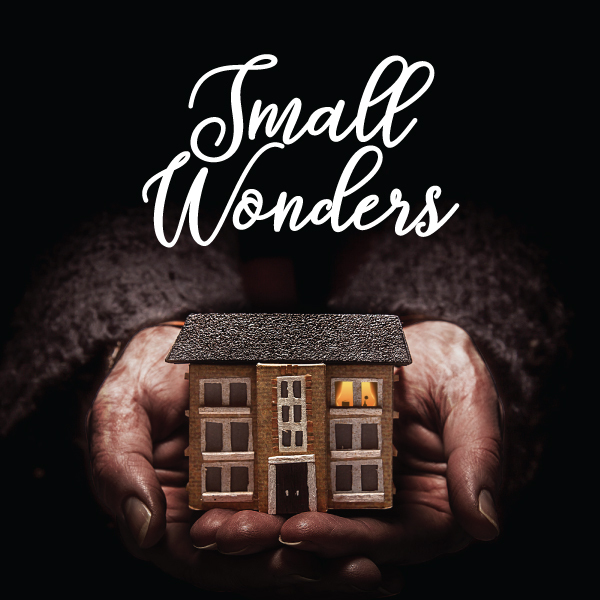 Small Wonders was originally commissioned by Punchdrunk, LIFT and Bernie Grant Arts Centre. It first ran from 2nd June - 13th July 2018. Punchdrunk gratefully acknowledges the support of the Garfield Weston Foundation, the Small Wonders Giving Circle, the Ellis Campbell Charitable Foundation and Transam Trucking. Made in Tottenham with the support of Haringey Council. Small Wonders is a LIFT Tottenham Original, made in collaboration with artists and communities from Tottenham. LIFT Tottenham is supported by Esmée Fairbairn Foundation, Calouste Gulbenkian Foundation, Jerwood Charitable Foundation, Foyle Foundation, Austin and Hope Pilkington Trust.